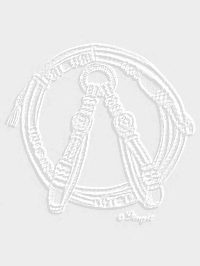 Includes Art of Braiding, Bosal I - Revised. * Twisted rawhide core, sized to make a 5/8" diameter core. * Precut beveled strings cut to length, labeled and sized to make the bosal in the book. 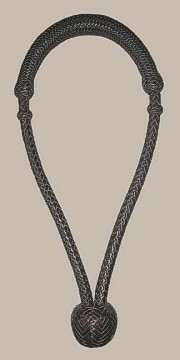 * The Art of Braiding, Bosal I - Revised (not included in BKitNB). 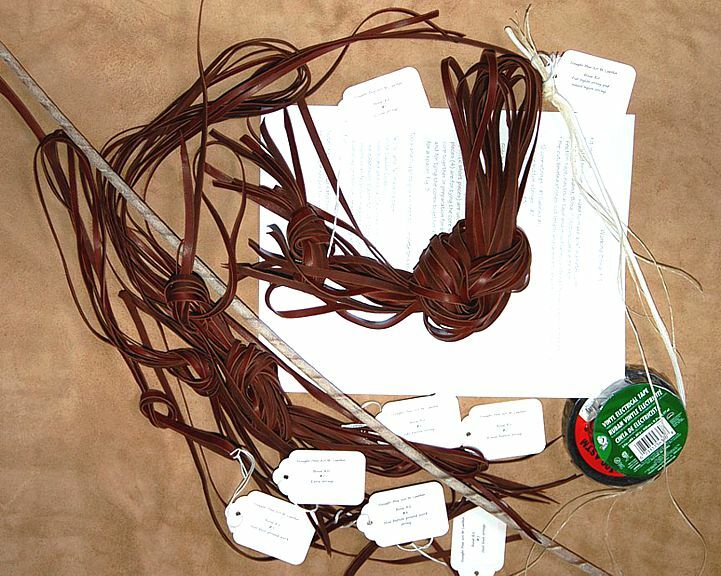 * Friction tape, electrical tape and miscellaneous strings, waxed thread. * 1/4", 1/2" and 3/4" masking tape. * Finish board and stick (described in book - purchase at hardware store). * Single edge razor blades to cut string ends off and shape heel knot. * Scissors or knife, brown marking pen, ruler, soft brush. * Liquid soap or rawhide cream to apply while plaiting. Includes everything that is in the Latigo 5/8" kit. 1.) Follow the same instructions in the Art of Braiding, Bosal I - Revised. 2.) 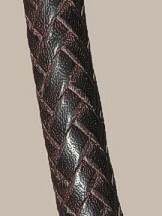 Kangaroo is a higher quality leather in terms of strength, longevity and ease of braiding. 3.) Kangaroo not only looks very nice, but is easier to braid. 4.) Three colors available, saddle tan, whiskey and brandy. Color choice: saddle tan, whiskey, brandy or black. Please allow 4 to 6 weeks for delivery of kit.